The Best Way To Plan A Disney World Vacation! If you're looking to take a loved one, the family, or just yourself, to the Most Magical Place on Earth, there are more than a few things that you'll need to make sure you have in line before you make your trek. Whether you're looking to spend a short amount of time, or a full-week's vacation, the steps we'll outline in today's blog are sure to help you make the most out of your Disney World Vacation! 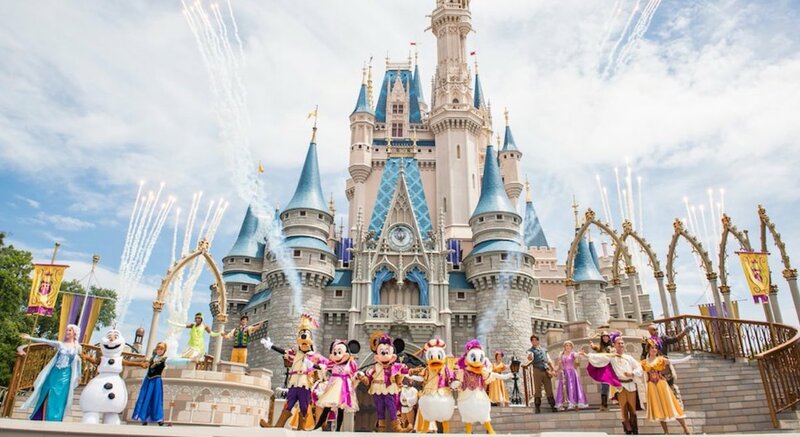 There's a lot to keep in mind before you take your trip to Disney World, but there's also a lot for you to keep in mind while you're there. Read below for our tips and tricks to being as prepared as you can, how to get your dates set, and what to keep in mind while you're actually on the trip! Preparing for any trip can be so much fun, but it can also be very stressful. Rather than carry the stress with you up until the day you leave, if you prepare properly, you can avoid the unnecessary stress and focus on what really matters, enjoying your trip! While you're preparing for your trip, there are several different things that you can do to make sure you're as stress-free as possible. Something that's always good to start with is getting your paperwork and ideas in order, and to make sure to file everything in one secure place. As you plan your hotel stay and your flights, get the necessary paperwork filed away in the exact same place, that way you always have access to everything you might need. In addition to this, it's a great idea to keep notes of things you think about when you're planning. For example, an idea for a great dinner getaway might come to mind, and you won't want to forget something like that. So, write it down and file it along with the remaining paperwork you've got for your trip! As important as it is to plan ahead of time, it's also super important to make sure you've got everything you need while you're gone. Start first by putting a list of items together while you're planning. From there, you can make whatever purchases you need to make prior to the trip so you've got everything packed. This could be items like sunscreen and ponchos for dealing with the weather, or aloe vera for after a long day in the sun. There's an entirely different category of "things" to bring with you on your trip that you absolutely cannot forget...paperwork! Remember our plan to put everything in the same envelope? Well, that's your "Trip" envelope, and it should be one of the most important items in your luggage! Keep your envelope in your backpack when you're traveling from park to park, so no matter what's on the itinerary, you've got the paperwork to make sure you've got reservations or receipts to show. Sometimes you're in need of a little preparation assistance, and we totally understand that issue. Thankfully, there are great resources provided by Disney World that can make planning and accounting for specific trip items very easy. For instance, if you download the "Disney World" app from the app store, you can keep track of all of your Fast Pass+ information, reservations for dinner, and hotel information in one convenient place. Additionally, we recommend getting the app for the airline that you're traveling on to make sure your boarding passes are always accessible while you're at the airport. Doing this has been so helpful on trips I've taken in the past, and it makes it so much less stressful when all you have to do is hold out your phone to scan the passes before going through security or stepping on the plane! Getting your dates set can be stressful, but if you plan properly, you can swiftly make it through this step of the process and get to planning your itinerary for while you're there! Disney World is very busy for much of the year, but there are times of the year that are not as busy as others. However, it's important to keep in mind that there is usually a reason for that. If you're planning on going during the less-busy summer months, be ready for the warmest time of the year at the Parks. Not only is it going to be very warm, but you'll probably be spending extra money on refreshments, and you may even have to take some breaks during the day to get out of the sun and humidity. Conversely, if you're planning on going during the cooler winter months, you'll be heading to the Parks during the time of year that many other visitors are also planning on being there. If you do a good job of planning ahead with reservations for dinner and hotels, and you make sure to get your Fast Passes+. you won't have to worry about wait times as much as usual. However, you'll definitely notice that the Parks are packed while you're there. If you're not a super-comfortable-in-crowds type of person, we'd recommend finding another time to go. This is what leads us to our "Best Time To Go" advice. In February, you're not likely going to experience the uptick in crowds because, well, the kids just got back from Winter Vacation. Many families take their winter trips during December and January, so if you plan to go during the winter, consider February as the best month to go. If you can't make February work, you can try to wait until spring. Unfortunately, there's another window of time in the spring that many students are out of school and are traveling with their families. Thankfully, most schools do Spring Break during March and not as late as April. So, if you're willing to wait an extra month, you can avoid the extra-heat that comes during the summer, and you can also avoid the larger crowds. Finally, if you can't make winter or spring work, you can head down to the Parks in September. This is usually the month that the kiddos go back to school, so many families and students try to avoid taking a vacation during this month. Also, the temperatures during September are usually cooler than the summer months, and the humidity starts to die down somewhat. As a last resort, consider September as a good option for traveling. The trip itself should be all about fun! While you're on vacation, if you've done the proper preparations and made sure you're going at the right time of year, you can limit the stress while you're away. If you've made sure to download the Disney World app, you can pretty much access all of your trip plans from one secure place! This includes, as we mentioned, all of your dinner and hotel reservations, as well as your Fast Pass+ information. In addition, you can set up Fast Passes+ from the app, so once you've used one, you can set another one up for later in the day! We hope you've found this to be a helpful guide for planning your trip. Although it isn't completely comprehensive, and there will be a lot more work than what's listed in the blog, if you use what we've got here as a rough guide, you can make sure to reduce stress while you're planning! Hope you've enjoyed the blog! Stay Magical!